Getting email addresses for opt-in email advertising and newsletters is gold. There is nothing better than someone opting in to get an advertising messages from you. But what about the other 99% of people that visit your website but don’t create an account or sign up for your newsletters. 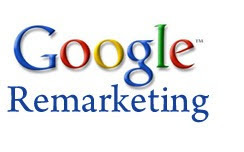 You may have heard about Google Remarketing and thought, great another way to spend more money on PPC advertising. I only want organic search traffic. Did you know that you can accumulate an audience of your website visitors and choose to remarketing to them (or not) for the next 540 days? 1 ½ years worth of customers visiting the Google Network and all the while you are racking up hundreds of thousands of unique visitors in your Remarketing audience. Ready to have a sale? Identified a product or service that complements your current offerings? Why wait until you need to create an audience of visitors to start remarketing? Create your remarketing account now and use it later, or not. At least you are giving yourself a future opportunity to advertise to qualified customers. 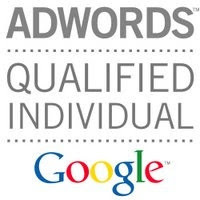 Step 1 – Create a Google Adwords account. Step 2 – Create a Remarketing Audience, choose to cookie website visitors with the opportunity to remarketing to them for 540 days (the max amount of duration). Step 3 – Add the remarketing code to all your pages visited by users whom you'd like to add to this list. Add to every page on your website. Decide whether you want one big pool of customers or smaller sized categories of customers (multiple tags). Step 6 – Keep your Content/Remarketing account live, make the max CPC $.50 and a frequency of no more than 1 impression per campaign per day. You will show a couple impressions a day and capture every customer that visits your website for remarketing now or later. Step 7 – Check the “Number of Users” in the “Shared Library” and “Audience” section. Make sure it is growing in size based on the amount of unique traffic you are receiving. There is a delay so don’t get worried if it is not exact, plus a unique visitor is not always a non-cookie visitor. Now you are set up for future Remarketing and "not paying" to create a pool of qualified customers to advertise to on demand.